On Kangana Ranaut's Birthday lets see which are the roles that would have been played equally as well by Kangana Ranaut. Bollywood’s Queen Kangana Ranaut turned 30 today. In her 11 years of career, she made a unique and special place in the Hindi film industry with her fabulous performances. She had not only won hearts with her iconic roles in films but her ever strong approach towards the society either in terms of social awareness or truthful nature made her stand out in Bollywood. This Tanu Weds Manu actress made her film debut in Gangster in 2006 for which she won the Best Female Debut Award in many award functions. This gorgeous diva has bagged three National Awards and four Filmfare awards in just a few years. This award winning film had Rekha as the lead actress. 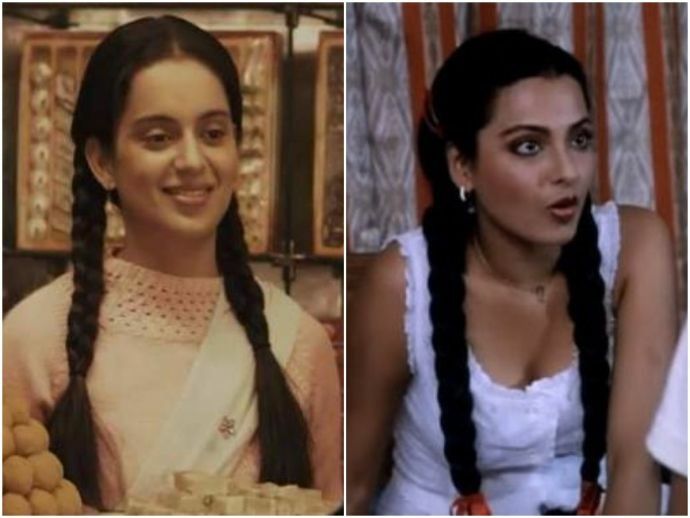 If Kangana would have played this role she would have fitted perfectly in the role of funny and outspoken Manju. Kangana would be as good as Sridevi in the role of Seema Sahni who is a press reporter in the film. Beauty with brains and the best she would have looked is in the song ‘Hawa Hawai’. Rekha made her fans crazy with her iconic acting and fabulous dance moves in Umrao Jaan. Other han Rekha, Kangana too would have made justice to play this role in Umrao Jaan. Chaal Baaz was a story of a twin sister played by Sridevi as Anju Das and Manju Das. 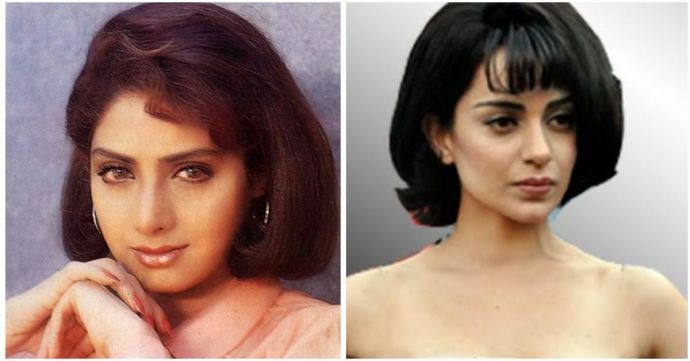 Kangana has also played a double role in Tanu Weds Manu Returns and she would have been the best choice other than Sridevi. 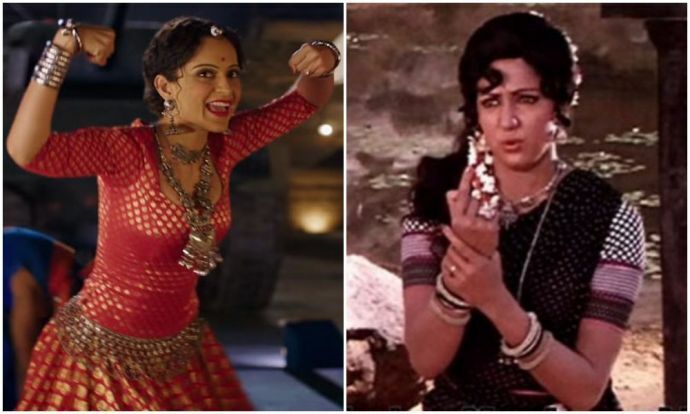 Sholay needs no introduction.One of the biggest blockbusters of all time, the character of Basanti played by Hema Malini was one of the USPs of the film and nobody but Kangana could have matched Hema Malini for that role. Although we have already seen Kangana in Tanu Weds Manu but if she would have played Chameli in Chameli ki shaadi then the movie could have become best comedy wedding drama of that time. Khoon Bhari Maang was a revenge drama and the lead role was played by Rekha. 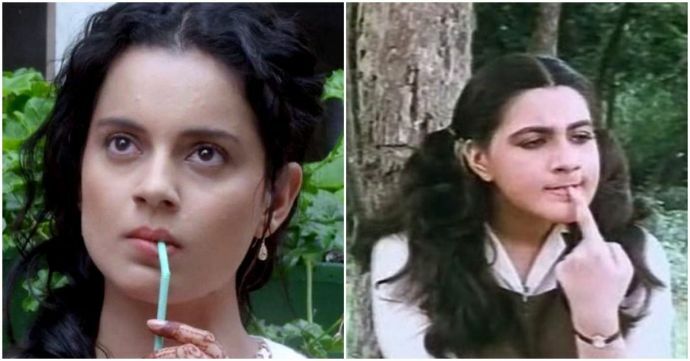 Kangana would have looked as pretty as Rekha if she would have played the role of Aarti Verma in this film. If Sridevi would not be played Roshni Chadha in Gumrah then no one else then Kangana would have played the role just as well.